Following a restoration of state aid, Bethlehem residents passed the district's $94.1 million spending plan for the 2015-16 school year by a wide margin. After the success of last year’s Raiderfest, South Colonie’s iCARE students are preparing for the second, which will include more activities and events than the last. Bethlehem police have arrested the alleged robber of the Pioneer Bank on Delaware Avenue from earlier this month, after he visited the bank. Saratoga continues to be Upstate’s capital for the fine arts during the summer months, thanks in large part to the Saratoga Performing Arts Center (SPAC). 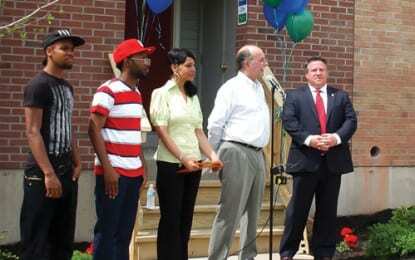 Habitat for Humanity Capital District celebrated the completion of its 100th home built in the Albany area early last week. Every artist has a signature style that distinguishes himself from his peers. Guilderland Police have reported the death of a highway department employee after an accident with a town truck. Shaker High School junior Margaret Munane’s artwork will be shown in the United States Capitol as the winner of the 2015 Congressional Art Competition. 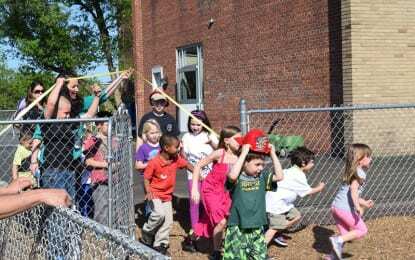 After two years of waiting, Achievements and Kids Express Learning Center at Maplewood School opened a new playground, complete with a rock-climbing wall, teeter totter and balance beam. Style your outfits with shorts to keep coolAh, summertime. The hotter temperatures will be here before you know it.